Different traditional occupations are shown impressively. 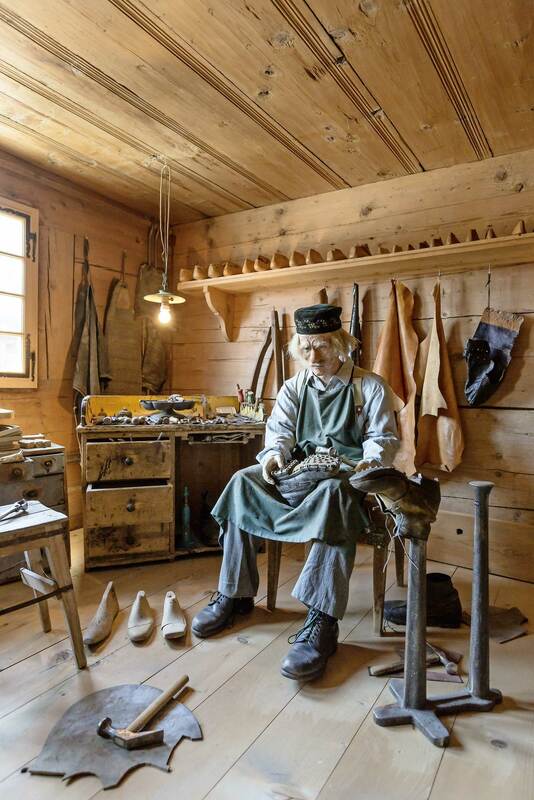 The shoemaker with his tools and output. The joiner producing wooden tools of earlier times. The art of sophisticated timber-frame construction can be admired with the museum-building of 1575. An excellent cart carving of Fritz Schwitzgebel explains the wood-transport-technics.